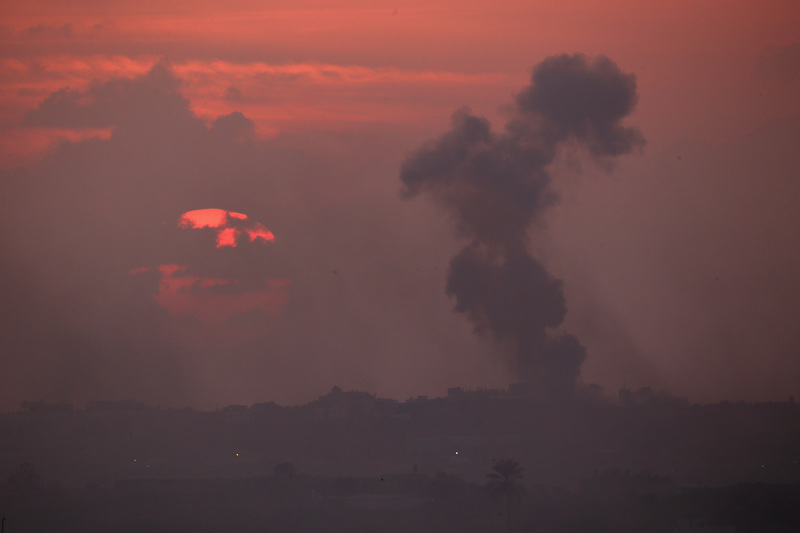 Just a day after three Israelis confessed to the revenge murder of a Palestinian teen, Israel launched an airstrike offensive on Palestine aimed at dozens of Hamas targets Monday night. According to Reuters, the offensive is a response to rockets that have been launched by Hamas on southern Israel towns over the last several days. The Israeli military, Israel Defense Forces, said via Twitter Tuesday that more than 100 rockets have been launched at Israeli citizens on Monday night. The IDF added that Hamas has been attacking Israel not only by air, but also on the ground through tunnels. In a blog post, the IDF said 3.5 million lives are currently in danger. The military launched Operation Protective Edge as a way to "target Hamas terrorists operating from Gaza." Hamas has allegedly increased its rocket arsenal in recent years, and now contains more than 10,000 rockets, the IDF said. "We are preparing for a battle against Hamas which will not end within a few days," Defence Minister Moshe Yaalon said in a statement. "We will not tolerate missiles being fired at Israeli towns and we are prepared to extend the operations with all means at our disposal in order to keep hitting Hamas." According to CNN, Israel has already hit 50 Hamas targets, including military compounds and the homes of insurgents. Al Arabiya English reported that three people have been killed in the Israeli airstrikes so far. The news sources added that a car has been hit. In addition to the airstrikes, the IDF is considering launching a ground invasion of the coastal Palestinian enclave. Although it's still unclear whether or not a ground invasion will take place, a source from Israeli Prime Minister Benjamin Netanyahu's office reportedly told Reuters that the leader said: "The IDF must be ready to go all the way. All options are on the table, including a ground invasion." The new military offensive on Palestine was triggered by the kidnappings and murders of three Israeli teens who were hitchhiking home near the West Bank city of Hebron. The bodies of the teens were discovered last Monday. In retaliation, Jewish Israelis allegedly killed a Palestinian teen last Wednesday as he was waiting to attend morning prayer. His body was found in the Jerusalem forest, and a post-mortem examination concluded he was burned alive. Three Israelis arrested in connection to the murder confessed to the killing on Monday.